Coaching | Kapow Coaching - Edinburgh and East Lothian coaching, leadership and training. Kapow Coaching offers intuitive, supportive and positive coaching for individuals and teams for discovery and action. Whether you call it business, executive, leadership or simply coaching - our qualified coaches help to facilitate changes in behaviour, attitude and thinking for groups and individuals. Believing that positive transformation can come from alternative thinking as well as pro-active action. 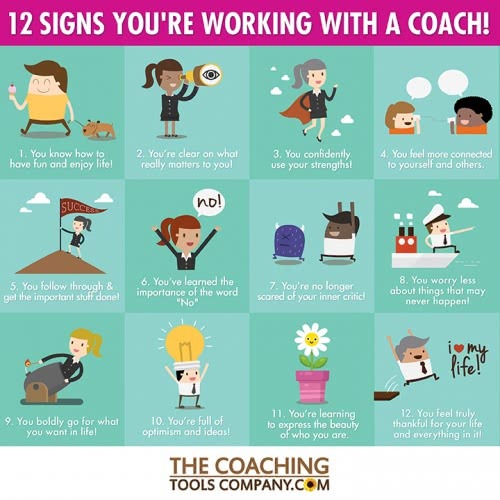 Ask for a FREE sample coaching session today and discover which of the '12 signs of Coaching' you experience. "My coaching session with Kate has helped me work out positive pathways to try and improve working relationships. We met by Skype which was a very effective, being able to choose a good environment for the session minimised background factors that might otherwise have distracted me." Edinburgh client. "An interesting approach to working through issues - managable process in a fixed amount of time. Does not take a huge amount of materials or technical input"
According to the ICF, 86 percent of organizations saw a return on their coaching investment, and 96 percent of those who have been coached said they would repeat the process again. For senior level leaders and managers this traditional coaching programme aims to support you as you overcome professional challenges, wish to explore your personal impact and effectiveness or simply to inject fresh thinking and new perspectives on current issues or patterns of behaviour. By signing up for 4 sessions of Leadership / Business Coaching you will be achieving specific goals and objectives regularly, which will invariably renew your confidence, motivation and drive. You will increase your self-awareness and gain a deeper understanding of your emotional intelligence and personal impact on those around you. You will be challenged to become a powerful and positive leader role model. You will complete an online emotional intelligence survey (EQ-i) which will form the basis of your introductory coaching session and subsequent meetings. There will be a two-hour introduction session followed by 3 x two-hour face to face meetings, taking place approximately every 2 or 3 weeks supporting you on your aspirational goals and personal objectives. Email support and accountability will be available in between sessions. Kapow Coaching is often approached by a senior member of an organisation to coach individuals or themselves. The coaching agreement is held between the coach and coachee and where the organisation has instructed the coaching relationship to take place, a three-way contract will be drawn. All conversations are confidential. Using a mixture of coaching, NLP, positive psychology, business tools and personal development the coachee will outline clear business goals and personal aspirations to be worked on over the coming months. These will be reviewed, challenged and explored in full to encourage deep and lasting change in both behaviour and thinking. For Emerging Leaders, managers and individuals seeking immediate solution focused coaching at the comfort of their own desk. Support Coaching can provide an external solution for an internal challenge as it is suited for anyone at a decision cross road, looking for re-motivation or for someone seeking to push themselves towards a more aspirational goal. By signing up for 4 sessions of virtual Support Coaching you will not only achieve your objectives of change but get a deep self-awareness and support for changing not only your behaviour but your current patterns of thinking. There will be a one and half hour introduction session, ideally face to face or through Zoom, followed by 3 x one-hour coaching sessions over the telephone or Zoom. These will be approximately every 2 or 3 weeks. Email support and accountability will be available in between sessions. A request for Support Coaching may come direct from the coachee or the client, to help resolve personal or business issues that are having a negative impact. Developing an honest and trusting relationship to explore often emotional and challenging issues is the first stage in resolution. Telephone support can often be more powerful coaching mechanism as individuals do not feel they are under the microscope and believe they are listened to at a deeper level. In addition, it provides a timely support solution when most people are working against the clock. Putting a coaching lens on your management and leadership skills using the 3 I’s of Intention, Impact and Intuition through work-place observation, perspective feedback and coaching. Third Eye Coaching concentrates on what you are communicating (intention), how it is received (impact) and the global insight of what could be improved within the working relationship of your team / department (intuition). This process enables you to focus on your leadership, management and effective communication skills amongst your peers and teams, and highlights methods for improvement. Typical Third Eye Coaching takes place over 4 to 6 months with a mixture of work-place observations, perspective feedback and one to one coaching. Contracting and confidentiality play an important role in this process and time will be spent informing all those involved of expectations and the role they play in supporting the leadership development of the coachee. The objective of Third Eye Coaching is to improve your leadership capabilities by understanding your intention, impact and intuition. Walking has a powerful effect on your physical, mental and emotional wellbeing as you re-energise your body and mind by being outside in fresh air, away from work and life distractions, and step-by-step signalling your unconscious mind that you are moving forward. When we feel stuck or not sure of how to manage a situation the physical act of moving away from the issue or looking at it from a different perspective can often result in a more profound understanding and invariably a solution. Coaching typically looks at where you are now and where you would like to be, what you’d like to change or how to feel different; with a focus of moving forward and finding a positive solution. Walking Coaching engages your conscious thinking process with your unconscious mind to be more creative, have greater clarity and be more motivated for action as the rhythmical action of walking alters your beta bran waves from task orientated to slower alpha waves that provide deep relaxation to access mental clarity. It enhances solution focused techniques by actually taking you out of the office, away from the problem and into and the world of possibilities inspired by the world around you. Typically Walking Coaching takes place over a period of 4 months for a session lasting anywhere between 1 and 2 hours. No special equipment is needed as walking takes place around scenic routes close to your office or at a mutually agreed designation. A 6-week programme for peers, teams or managers-in-the-making, who are looking to develop and grow themselves, their team and the business. This is an opportunity for you to develop your coaching communication and listening skills, problem solving without attachment and deeper understanding of what is being said on an emotional level. An abbreviated version of Action Learning, Kapow's Coaching Circles are commonly used in businesses as a means of sharing business and developmental issues in a safe environment from which a new level of understanding or desire for action occurs. This is an opportunity to practice coaching skills, powers of intuition and effective listening, with an aim to improve your interpersonal skills as an emerging leader and manager. In just 90 minutes indivuals within the group will have the opportunity to reflect, be inspired and inspiring, gain renewed motivation and generate insight and future action for change. For individuals, it is a chance to experiment with different approaches and to learn from the result. As a team, it is bonding time and one that allows sharing of information, knowledge and insight in a different environment. Our Coaching Circles use three styles of Action Learning: traditional, co-consulting and inner reflection. Coaching Circle groups will be encouraged to become self-managing after 6 weeks. An International Coach Federation (ICF) Global Consumer Awareness Study in 2014 found that those people surveyed in the UK, 41.7% believed that a professional coaching qualification or credentialing was ‘very important’ and 36.2% said it was ‘important’. Here at Kapow Coaching we echo this view as all of our coaches and trainers have undertaken their relevant training and actively commit to continuing professional and personal development. The Coaching Training Institute (CTI) Founded in 1992, and is the oldest and largest in-person coach training school and one of the most innovative leadership training organisations in the world, having delivered Co-Active® training courses in 74 cities across 32 countries. The ICF was established in 1995 and is the world leader in advancing the coaching professional. As a member of the ICF, Kapow Coaching adhers to the ICF's Code of Ethics. The Association for Integrative Psychology (AIP) approve and certify NLP training. Brief, Solution-Focused Therapy concentrates on solutions and goal orientation not problems. As an ATP approved course is integrated, evidence-based mental health training of the highest quality.